“We will give a loan to anyone who can fog a mirror.” That quote comes from former Countrywide Financial Services executive, Michael Winston. Winston later became a whistleblower against Countrywide and its successor, Bank of America. He is but one of many heroes in the battle to root out in greed and fraud in our financial services industry. I recently found an interview of Winston on YouTube. Like so many other whistleblowers, Winston is a true American hero. His story is worth telling. During the run up to the financial meltdown, everyone was writing loans. Most residential mortgages were backed by the U.S. government or Fannie Mae and Freddie Mac. It really didn’t matter if the borrower couldn’t afford the loan as long as it closed and the banks received their commissions. According to the Countrywide executive, if the borrower could “fog a mirror” they qualified for a loan. Winston knew things at Countrywide were bad but he hoped he could help the company clean things up. He couldn’t and things just got worse. Later, Winston would be asked to falsify a document that went to a rating agency. He refused but by then, Winston was already suspected of being a renegade. The beginning of the end came when Winston wrote to senior management and said the building that housed him and a thousand other workers was making people sick. Management balked so Winston became a whistleblower and went to “Cal OSHA”, the California Division of Occupational Safety and Health. Immediately after becoming a whistleblower, Winston felt the full power of Countrywide’s wrath. His duties were changed and his team taken away from him. In short, they made Winston miserable and tried to make an example of him. Winston’s battle is over but Countrywide and its successor Bank of America still hasn’t learned its lesson. 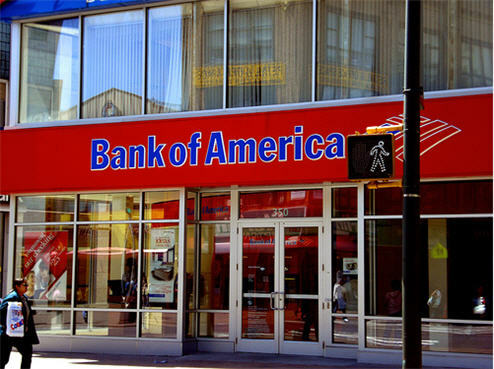 Last year Bank of America / Countrywide agreed to pay almost $17 billion to settle False Claims Act and FIRREA violations. (We were honored to have represented some of the fine folks involved in that case.) We know that other cases are pending. 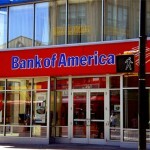 There is another crop of heroes in the wings and not just at Bank of America. As long as fraud and corporate greed threaten society, there are always a couple more people out there willing to step up to the plate and speak out. In our opinion Michael Winston and our Bank of America whistleblower clients are heroes. We like helping folks like Michael Winston for several reasons. First, we all like a David versus Goliath battle, especially when David wins. These stories reaffirm for us that just one whistleblower can win against a big company. Second, we like stories like his because it shows how ordinary people can do extraordinary things. Before folks become whistleblowers and heroes, they are usually otherwise ordinary, hard working, caring employees. Only when they see greed or fraud and can’t correct the problem from the inside do they decide to become whistleblowers. We continue to look for new whistleblowers… People from Bank of America, JPMorgam Chase, Wells Fargo… people at third party loan servicers or appraisal services (Ocwen) … people working in offshore call centers. If you know of fraud involving banks or government programs or funds, give us a call. Michael Winston earned $3.8 million for his efforts. We say “earned” because it wasn’t easy and he has yet to be paid. Some of our banking whistleblowers have earned much, much more. Even if you are not quite ready to step forward, give us a call. The inquiry is completely confidential. We will help you determine what your case might be worth and how we may be able to protect you from retaliation.